The actor with star struck looks, confidence, and exuberant charm – not to mention a voice that was unlike any others – died late Thursday from complications of pneumonia, following a yearlong battle with cancer in Santa Ynez. John Forsythe was 92 years old. 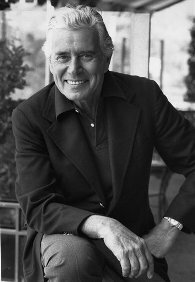 John Forsythe was perhaps best known as the leading star of ABC’s hit TV show Dynasty.